It’s been over two years since we were last able to get our hands on a new album from Carrie Underwood. During that time she focused on her marriage to hockey player Mike Fisher and took a little break from touring and recording. Now she’s ready to make a comeback with her latest album, Blown Away. How does the new 14 song set compare to the singer’s previous three albums? Since her debut album, Kerosene,hit the country music scene in 2005, Miranda Lambert hascontinued to grow and develop as an artist by rarely giving us the same albumtwice. Four the Record once againfinds the CMA Female Vocalist of the Year reinventing her sound and style todeliver one of the finest country albums of the year. The album kicks off with “All Kinds of Kinds,” a mid-temposong about the different types of people that make up the world we live in.With humorous lines about a cross-dressing Congressman with “closets full ofskeletons and dresses he wore on Friday nights” to a pharmacist who slips herfiddlin’ kids with Ritalin, this is a side of Miranda we rarely get to witness. “Fastest Girl in Town” finds Miranda relishing all her sassand attitude into one of her signature country-rock power anthems. “Town” showcasesthe tough, “outlaw” persona songs like “Kerosene” and “Gunpowder and Lead” havebestowed upon the singer. “Mama’s Broken Heart” is another rocker featured onthe album, but deals with a completely different subject matter. The song is inthe same vein of “Only Prettier” in that it pokes a little fun of the “prim andproper” reputation that is expected to be upheld by “Southern belles.” On “Nobody’sFool,” Miranda recounts the regret she feels after a chance encounter with anex-boyfriend. Unfortunately, she’s regretting the fact that she left him andnow has to watch and stare as he flaunts his new single life in front of her. Two of the album’s strongest songs appear back-to-back onthe track listing. “Dear Diamond” is a fantastic, bittersweet ballad, writtenby Miranda, that tells the story of a married woman who has an affair anddecides to confide in her ring, rather than tell her husband. “Dear diamond…withthis ring I’ve said I do, I promised to never do what I’ve done, I’ve beenlying to someone, dear diamond,” sings Lambert during the song’s chorus. “Ipromise to keep this secret I have while he’s holding me,” she utters as shemakes the aching decision to not come clean. To make this song even morebrilliant is the addition of Patty Loveless’ phenomenal harmonies. The more Ihear it, the more it becomes the album’s highlight. The very next track, “Same Ol You,” is another gem on thissuperb 14-track album. This Brandi Carlile penned ditty deals with a woman whoremains in a relationship with a man who’ll most likely never change. “It’s thesame old you in church on Sunday, getting high when the sun goes down…and Ithink I’m done with you, ‘cause until I get to leavin’ it’s just the same ol metoo,” Lambert delivers with plenty of attitude and vocal prowess much like thatof one of her influences, Loretta Lynn. What I love most about this song is thevintage acoustic guitar laden production that remains in the background whilethe vocals remain at the song’s forefront. It’s not surprising that husband Blake Shelton appears twiceon the album, once as a co-writer and once in a duet. It’s also no surprisethat the songs Shelton appears in happen to be the most pop-leaning tracks onan otherwise country album. “Over You” was written by both Blake and Mirandaand deals with the grief one endures when they lose a loved one. Though the song is good lyrically, the vocaldelivery seems a bit forced by Miranda who falls for the trick thatover-singing equals emotion. The same could be said about the couple’s duet, “Betterin the Long Run.” The song is well written (Charles Kelley, Ashley Monroe, andGordie Sampson penned the song), but the over-emoting from Lambert and Sheltonturn a great song into a rather mediocre recording. There isn’t much more that can be said about how influentialMiranda Lambert has become. She continues to push the envelope in moderncountry music while still sticking to and honoring the genre’s traditionalroots. Four the Record is justanother stellar example of why Miranda is one country’s finest artists. Sometimes it’s a shame that too often business and politics can serve as a wall between music and its listeners, especially when it concerns new artists. If a single fails to make a big enough impact on the charts, an entire album can either be scrapped or shelved by the label and may never see the light of day. As a result, listeners are missing out on some fantastic music by some of the genres finest artists. Skyville Records’ flagship artist, Stealing Angels, could be one of those impacted by the politics of the industry. The group’s first two singles, “He Better Be Dead” and “Paper Heart,” both failed to reach the top 40 on Billboard’s Hot Country Songs chart, which has delayed the release of their self-titled debut album. That album, which features 13 songs, is one of the best I’ve heard this year, which is why it’s a shame there’s a chance it won’t be heard by the masses. For the album, the trio brought on Skyville Records founder Paul Worley (who has produced albums for successful country groups Lady Antebellum and the Dixie Chicks) as the project’s producer. Worley once again shows off his artistic genius by mixing everything from traditional country, bluegrass, pop, and a little swing to create one of the most unique sounding albums for the trio. The album kicks off with the fantastic pop ballad “Paper Heart,” which uses paper as a metaphor to describe the narrator’s heart. “I wish somebody told me I would light up, and in a second I would turn to ash…I wish somebody told me I would roll up into a little ball that you could throw away, if I would’ve known I would’ve fold up into a 747 airplane,” sings the narrator as she describes how easily her heart could be broken. She also reflects on how she would’ve done things different had she known what was going to happen (“should’ve paid attention to the state of my condition before I kissed you that way”). “Paper Heart” is just one example of the outstanding songwriting included on an album that covers plenty of country’s most performed themes. Songs about heartache and breakups (“Paper Heart,” “Girls Gotcha Back”), a woman scorned (“He Better Be Dead”), and a little drinking (“If I Smoked”) all make an appearance on this album. Out of the 13 songs included on the album, at least one member of the trio helped write 11 songs, which proves just how talented Caroline Cutbirth, Tayla Lynn, and Jennifer Wayne really are. However, it’s one of the two songs that the group didn’t have a hand in writing that is the album’s highlight. “I Wanna Be Married,” penned by Paul Kennerley and Al Anderson, is a fun, flirtatious ditty that finds the girls wishing they could be married yet single at the same time. The song’s production is what makes it such a standout. Worley somehow manages to include bluegrass, swing, and a little mainstream country to make what is probably the best production I’ve heard this year. Filled with plenty of fiddle, steel, and banjo, this is the best two stepping song I’ve heard in quite some time. The trio delivers a fun, silly vocal performance that shows off their personalities well. In fact, the entire album is filled with incredible vocal performances. This album serves as a platform for the trio to show off their diverse vocal abilities. They use songs like “Lord, Don’t Give Up on Me” and “Oh Crazy Me” to deliver tender, subdued vocal performances while “Lightning in a Bottle” and “If I Smoked” are used to deliver their more sassy, and attitude laden styling. The group’s bread and butter though are their incredible harmonies. Each member’s voice compliments the other two beautifully to deliver the best harmonies from an all-female trio since the Dixie Chicks were in their prime. It seems like Stealing Angels may have a big mountain to climb before this album gets released, but they should be proud that they’ve produced one of the most creative albums this year. I hope we get to hear more from this talented trio in the future. In the meantime, this album will definitely remain on repeat for a while. 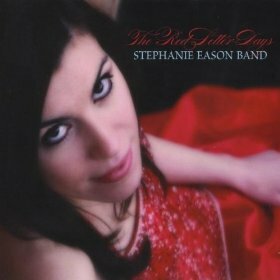 In this portion of ATC’s Indie Spotlight, we’ll be reviewing the Stephanie Eason Band’s first full-length studio album, The Red Letter Days. Find out what we think about the album in our Indie Spotlight! The album starts off with the upbeat “Charlotte to Phoenix” which finds Stephanie telling the story of a couple who wants to take a plunge and hit the open road from Charlotte to Phoenix to get away from their town. Stephanie provides a fantastic vocal performance that is never overshadowed by the production, which is filled with steel, mandolin, and guitars that keep its sound strictly country. In fact, the production throughout the record stays strictly country and that could be difficult to do in this generation of country music because some of it really isn’t country. The album continues with the pop-country tune “It Ain’t Love” which talks about how love is all about being physical and not all about the romantic gestures like writing poems or giving someone flowers. The production features a prominent banjo line backed by the ever-present steel guitar. The band keeps with the country-pop production on songs like “How to Start a Fire” as well as one of the album’s highlights, “Holdin’ On.” The latter of which is a song about a woman who is engaged to a man that she doesn’t feel is the “one,” but instead finds her soul mate in a different guy which she’s holding on to. One of the most interesting productions comes from the song “Endlessly” which possesses a very dark, mellow, bluesy production that’s filled with the usual Stephanie Eason Band instruments – mandolin, steel, and bass – mixed with a very subdued drum beat that sounds amazing on the ears. “He Don’t Know” also features an interesting production that incorporates traditional country sounds with a hint of bluegrass that results in a fantastic sounding record that could’ve been heard during the traditional country movement of the 1990’s. The album’s strongest song is the ballad “My Heart Won’t Leave Me Alone.” Everything from the dark production to the outstanding emotion-filled vocal performance from Stephanie, the best on the album, results in one heck of a song. The song, of course, would be nothing without the incredible songwriting skills of Stan Hitson, who also wrote or co-wrote five other songs, who brings the story of how a person feels after a sudden break up to life with such brilliance. Lead singer Stephanie Eason also shows off her songwriting skills on songs like “Holdin’ On” as well as the charming “Happy Ever After,” which talks about how the stories in fairytales we all grew up with never happen in real life, but we do all get our “happy ever after” in different ways. I’ve already raved about the production on “He Don’t Know,” but the songwriting by Eason is also something that should be mentioned because she does an excellent job at telling the story of a girl who’s in love with her best friend but is afraid to tell him, fearing that he won’t return her love. The only time the group strays away from their country sounds is on the rocker “Be Careful What You Ask For” which Stephanie shares vocals with songwriter Stan Hitson in the telling of the story about a husband who gets caught cheating in a local bar. This song provides Stephanie the opportunity to show off her sassy side as she gets to play the wife who confronts the girl that is knowingly getting “lovey-dovey” with a married man. This song also provides the band the opportunity to show a different side to them and proves to listeners that they aren’t one-dimensional when it comes to their tastes in music. From the excellent vocal performances from Eason to the outstanding production, this album is an outstanding representation of who the Stephanie Eason Band is. After listening to this record, there’s no doubt that the band is intent on sticking to their country roots and isn’t afraid to include influences from bluegrass, rock, and pop into that country sound. This album is a fantastic start from the group and I’m personally hoping they get the chance to record more music in their career. Last Tuesday, broadway-turned-country star Laura Bell Bundy released her first album on Mercury Records Nashville titled Achin’ and Shakin’. In an effort to seperate herself from other newcomers, Bundy’s album takes a massive risk in delivering two six pack albums in one. Is the risk executed well enough to make Bundy a country superstar, or does it fall flat? The production of the Achin’ portion is very soft and intimate. Producer Nathan Chapman does an excellent job at making sure the production isn’t over done and allows the focal point to be Bundy’s voice and nothing else. She’s rarely accompanied by more than just a few instruments in each song which allows you to image her just sitting there in a studio surrounded by a few musicians recording with one microphone. The more country songs include plenty of steel and acoustic guitar often mixed with a fiddle or a small string group. The highlight of this portion is the fantastic “Curse the Bed.” This song allows Bundy to not only show off her sultry voice, but also to show off what could be her acting skills as she wails the song with so much pain and emotion. Accompanied by light strings and acoustic guitar, she sings about destroying the bed where the love of an old relationship was made in an effort to rid herself of the memories. The <i>Achin'</i> portion of the album closes with “When It All Goes South” which sticks to the production of the previous songs; thus, resulting in a fantastic first of a two part album. Nathan Chapman, who has also produced for Taylor Swift and Jewel, sets the bar really high for Shakin’ producers Mike Shimshack and Kyle Kelso. Unfortunately, Shimshack and Kelso fail to reach that bar with the second portion of the album. Although Shakin’ shows off more of Bundy’s bubbly personality, it also loses the tight and controlled production that Achin’ acheived. Lead by the her debut single, “Giddy On Up,” this second set of songs has Bundy loosely singing her way through an incohesive set of sassy uptempo numbers. 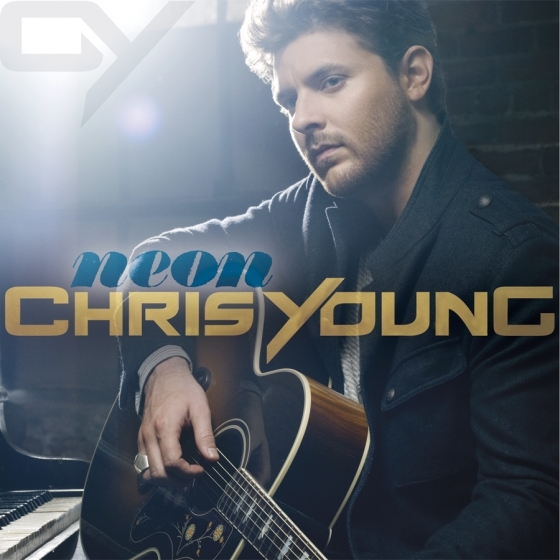 Unlike the first half of the album, the production of this set includes many, if not all, instruments which have been mashed together in attempt to walk the fine line between country-pop and pop-country. The over-production further makes a mess out of songs like “Rebound” and the out of control “If You Want My Love.” If I had to choose a highlight of the Shakin’ portion of this album, it would have to be “I’m No Good (For Ya Baby)” mainly based on the fact that it’s the least over produced of the six songs. Other than that, this portion of the album, though a tad more enjoyable from a tempo standpoint, is a complete mess. However, I have to give big props to Bundy for allowing her big personality to show through on this set. Overall, this is a solid album. It’ll be interesting to see what songs Bundy and her label choose to release as singles after “Giddy On Up” because it’s hard to imagine most of these songs on the radio. It’s clear that Bundy has the goods to become a star in country music but may need to ditch producers Shimshack and Kelso in the future to avoid another carwreck that is Shakin’. Over the course of a career no one has evolved musically and artistically as much as Gary Allan. From the traditional sound he showed on his debut album, Used Heart For Sale, to the new mainstream country-rock sound he’s shown on his previous two albums (2005’s Tough All Over and 2007’s Living Hard), Allan has evolved to an artist who is comfortable with his outlaw style of music. Does his new album, Get Off on the Pain, continue his evolution as an artist or does Allan stick with the formula he’s most comfortable with? The album kicks off with the title song which is a country rocker that finds Allan singing about his outlaw style of living using lyrics about how he likes to hang out with the dark horses and how he rides the wrong road as fast as he can. The song lives up to his country rock reputation which suits his vocals perfectly. The album continues with “I Think I’ve Had Enough” which is a more mainstream rock song that could also be sung by a pop-rock group such as Daughtry. Allan sings about how he’s had enough of living alone and runs back to the woman he loves because his life is too rough without her. His vocals are packed with plenty of raw soul and suits the song and its production. As usual, Allan proves he can not only sing the soaring rock songs, but also the tender ballads. The album’s lead single, “Today,” is a perfect example. The Brice Long and Tommy Lee James written song is about a man who realizes any chance he had with a woman disappears the day she gets married to someone else. Allan’s soulful tone turns into a more emotional one as he sings the heartbreaking ballad. He also shows off his tender side on the quiet “We Fly By Night” which talks about how he and his love interest may have stressful, hard days but once night falls, they find themselves making loving in a world that feels right. On this tune, Allan’s able to show off a bit of his bluesy side which mixes well with the steel guitar and drum melody. The overall theme of this album is about love. The albums includes songs about losing love (“Today” and “Kiss Me When I’m Down) and songs about having love (“We Fly By Night” and “She Gets Me”). One of the most powerful songs about love is “When You Give Yourself Away” which talks about how you need to open your heart and allow yourself to open up to someone no matter how it’ll end. The song gives the message that in order to love you must give yourself away to someone else. The bluesy, soulful production brilliantly showcases his powerful vocal performance. The most powerful song on the album is its closer, “No Regrets.” No doubt inspired by the loss of his wife in 2004, the song finds Allan singing about how he’s always loved her with no regrets. He says that even though their life together was short, he was still able to live so much…all of it with no regrets. The production on the song is filled with plenty of steel and acoustic guitar. Gary’s vocal performance is the best on the album by a long shot. This song proves that music, in any form, has the power to help heal any wound. 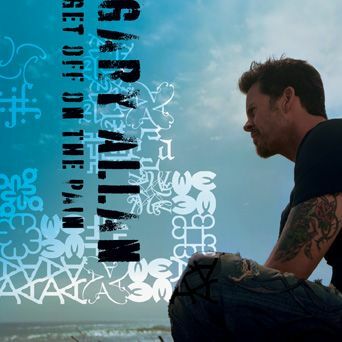 This is another solid album from Gary Allan that will no doubt bring him more success. The overall production sticks to his artistic stylings and his vocals are packed with his usual soul and incredibly range. Allan is one of country music’s finest veterans who will hopefully be able to continue to release great music for many more years to come.